Choose DuPage has released its 2017 First Quarter Economic Indicators Report this week, once again confirming DuPage County maintains a thriving business climate. Due to its low unemployment, skilled and educated workforce, high quality of life and growing business and industry sectors, DuPage County presents opportunities for job creators and entrepreneurs during a time when the state struggles with high taxes, pension challenges and a hostile business climate. DuPage County maintains the lowest unemployment rate in the Chicagoland six-county region at 4.1%, lower than both the State of Illinois (5.5%) and United States (4.9%). DuPage County‘s current top job opportunities include positions in computers and mathematics, management, office and administrative support, sales, business and finance, healthcare practitioners and transportation. Industrial vacancy rates are at 5.4%; DuPage County continues to have the lowest industrial vacancy rate in the region. 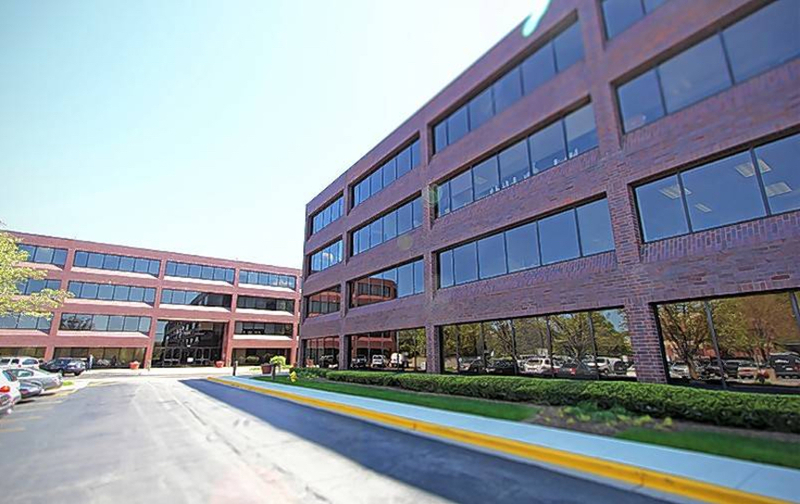 DuPage office vacancy rates have continually declined and are holding steady around 16-17 percent, with industrial vacancy rates running around 5.4 percent. While space is being acquired by new businesses moving into the area as well as the expansion of existing DuPage businesses, DuPage County continues to have the lowest industrial vacancy rate in the region; this creates a great opportunity for developers. DuPage County has consistently maintained the lowest unemployment rate in the Chicagoland region and boasts an AAA bond rating due to its strong economy, fiscal management and healthy budgetary performance. Low taxes and operating costs, strong labor demographics, close proximity to hotels, dining, shopping, golf and recreation are just a few of the benefits our community provides to business and industries considering relocation or expansion of operations. For all these reasons and more, DuPage continues to maintain a solid, thriving economy. A space outside of City Hall could soon transform into an outdoor internet workspace open to the public. “The idea is that we have comfortable seating, shade, electrical outlets that are handy and convenient, and possibly other small amenities throughout the area, in a space that’s otherwise just completely unused,” said Steve Chirico, the Mayor of Naperville. An idea first brought up to the mayor, who then involved other local leaders, this proposed space would utilize sustainable materials and energy sources like solar panels to help power visitors electronics. This space was first publicly discussed at the recent State of the City address, but plans are far from complete. The budget for this project is not yet known, but the mayor does have a timeline in mind. “I would love to see it done this year, but it’s a lot of work and it’s a big project. So maybe it’s a little optimistic but that’s the way I think,” said Mayor Chirico. If constructed, this area would be free and open to the public, with Wi-Fi and power provided. A March 23 editorial published by the Daily Herald, “Community colleges help students find jobs on the road and in the trades,” is right on target — but the concept has much wider reach into advanced manufacturing that continue to be unrecognized opportunities. The editorial talks about the value provided by community colleges and vocational education’s role in leading to good career opportunities. At the Choose DuPage Economic Development Alliance, we have continuously advocated on behalf of innovative industries. DuPage County is home to a number of small and large manufacturers. There is a wealth of opportunity that exists in the industry and great training programs being offered through our community colleges. College of DuPage offers everything from associate degrees to certification and vocational skills programs; several of their programs work directly with employers to ensure the skills being taught in the classroom appropriately prepare students for the workplace. Choose DuPage encourages the next generation to consider the field of manufacturing. Jobs are becoming more technologically savvy, require expert training on high tech equipment and be adaptable to an advanced workplace. The days of using a hammer are long gone for the average manufacturer — positions in today’s shop room floors are advanced, they use technology, and the jobs pay well… usually without any student debt. According to the Illinois Manufacturers’ Association, the average manufacturing employee in Illinois earns about $25,000 more than the average worker in other industries, yet many manufacturing jobs remain unfilled. We need to do a better job of communicating the good jobs, wages, benefits and opportunities that exist in the manufacturing industry.